VeryPDF Mobile Capture SDK Capture data from any documents, from structured forms and surveys to unstructured text-heavy papers. VeryPDF Mobile Capture SDK is a powerful data capture and document processing solution from a world-leading technology vendor. It is designed to transform streams of documents of any structure and complexity into business-ready data. And its award-winning recognition technologies, automatic document classification, plus a highly scalable and customizable architecture, mean that it can help companies and organizations of any size to streamline their business processes, increase efficiency and reduce costs. VeryPDF Mobile Capture SDK for iOS turns smartphones into portable scanners that capture information from paper documents and deliver it to back-end systems. VeryPDF Mobile Capture SDK is highly accurate and scalable document imaging and data extraction software that automatically transforms documents of any structure, language or content into usable and accessible business-ready data. Intelligent self-learning classification and state-of-the-art recognition technologies enable Mobile Capture SDK to replace error-prone manual processes with automatic document classification and processing. Flexible and customizable, Mobile Capture SDK can handle virtually all document processing scenarios and can be tailored to any company’s workflows and regulations. Speed up business processes by using automated data entry software to eliminate time- and resource-intensive manual data entry. Intelligent capture algorithms enable the system to process any kind of document: invoices, contracts, registration forms and more. The software uses artificial intelligence algorithms to enable automatic classification and data extraction. Mobile Capture SDK can also be interactively trained on image samples to provide further production-level processing. A flexible workflow can easily be adjusted to your specific business processes. Mobile Capture SDK offers a powerful set of tools for modifying the basic document processing workflow with custom processing stages, scripts, and external modules. The workflow also enables document processing in a fully unattended mode. VeryPDF Mobile Capture SDK can be extended with a ready-to-use add-on to provide additional functionality for invoice processing - including pre-defined settings, validation rules, advanced database look-up and specific UI enhancements. The Mobile Capture SDK Web Service API provides access to the Mobile Capture SDK Processing Server from an external application over HTTP or HTTPS. By using the API, Mobile Capture SDK may be integrated into various business applications and workflows as an automated document classification and data capture service. With Web Service API, it is possible to develop special applications or custom import modules that can deliver image files directly to VeryPDF Mobile Capture SDK for processing. 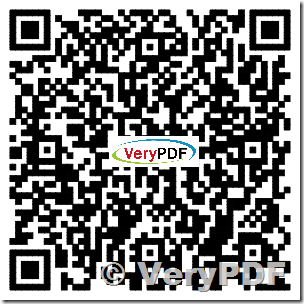 If you wish to purchase VeryPDF Mobile Capture SDK product, please feel free contact to us at http://support.verypdf.com ticket system, we will provide more information to you asap. This entry was posted in VeryPDF Cloud API, VeryPDF SDK & COM and tagged mobile capture, mobile ocr sdk, mobile scanner, pdf android, pdf ios. Bookmark the permalink.